If a manga volume exists, you can find it at Kingyo Used Books. 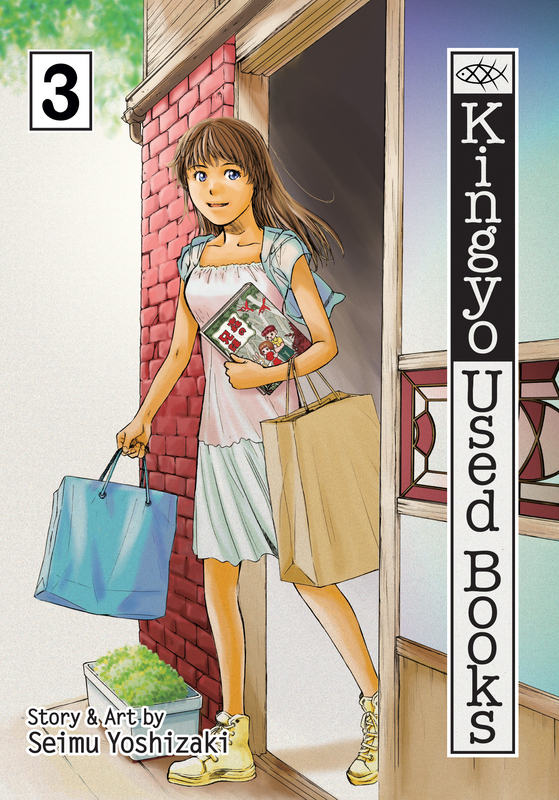 But Kingyo is more than just a typical used bookstore—it’s a place where human relationships are treated as the most valuable stories of all. Natsuki, the store’s interim manager, and Shiba, the manga maniac who loves her, help both their regular patrons and random customers in a series of linked tales built around actual manga series ranging from the popular to the esoteric. In this volume: A manga collection featuring beautifully frightening horror stories piques the interest of a cowardly pick-up artist. Reading about an attractive soldier battling evil inspires a young woman to upgrade her wardrobe. A manga about the wandering travels of lone ninja and swordsmen raises the question, "What is fate?" A practical home-style cooking manga provides eating suggestions for a woman looking to expand her nightly menu. A man sets out to find a specific globe-trotting adventure manga.